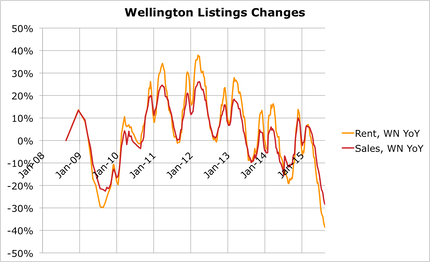 Wellington Sales listings have dropped well below that of any year since 2009. 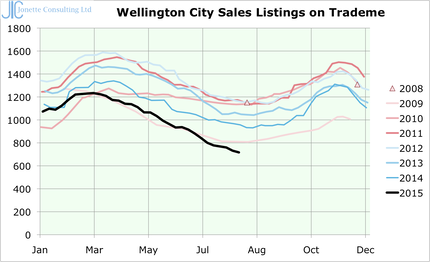 �This is now a solid trend with more than 200 fewer homes for sale than the same time last year. � �Updated with two more weeks showing the same story! Further, it does not look like the trend lower is complete, the red line below does not look like it has reached the bottom, although in past years the bottom is sometimes in mid August, but usually in July. 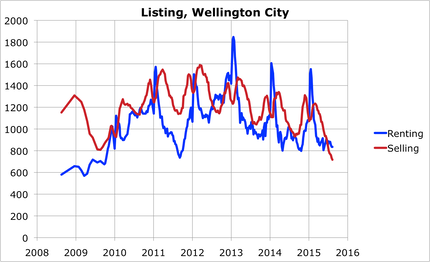 �Note that rental listings are yet to show the little peak in July.